Cryptologic’s Just Vegas is a slot game that looks really dated to me, but then again so do several others from this particular manufacturer. For a start, the main character is a guy in a suit looking a bit like he sells insurance. The only guys I see in Vegas wearing suits these days are Pit Bosses and security guards, and the Just Vegas guy is neither of them. The game does have a few nice bonus features, which might make you choose it over games like Microgaming’s Dark Knight slot or Betsoft Gaming’s True Illusions. There are actually three different bonus games to choose from that are in the form of different casinos. 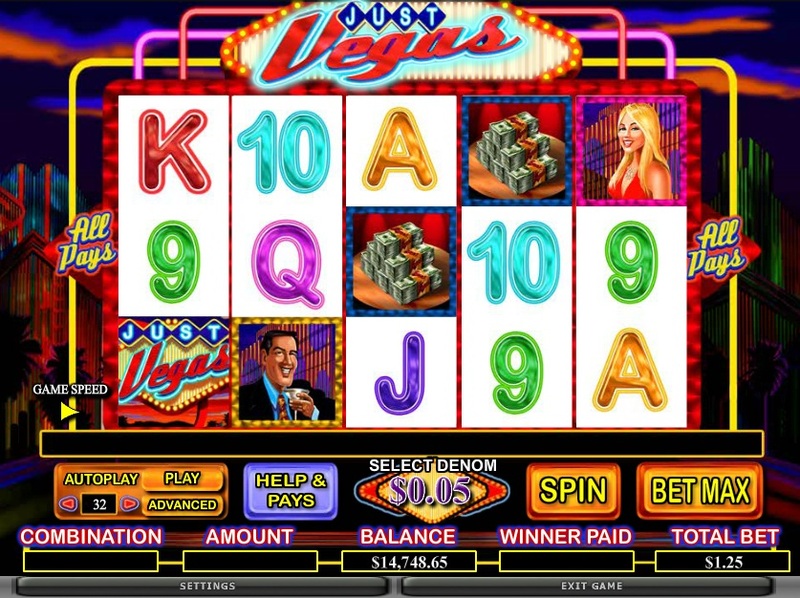 This bonus is activated by hitting 3 or more scatters on Reels 2, 3 and 4 and then you choose the casino you want to play in. 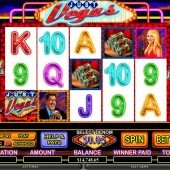 If you pay a visit to the Asian Casino then you will get 10 free games with expanding wilds on Reels 2, 3 and 4. Go the Egyptian Casino and you will get 15 free games with wild substituting for all symbols including the Scatters. If you decide to take the final pick, which is the Roman casino, you will get five free games with 5x multiplier. As you can probably tell from this review, Just Vegas is not a slot I choose to play very often. It looks pretty old-fashioned and I didn't find it particularly rewarding from the little I played it. I much prefer other Crypto slots such as the superhero-themed Wonder Woman slot or arcade-themed Street Fighter 2.